As the homeowner market continues to improve in the United States, many realtors are finding that their business is growing and seeing increased competition. The turn of the real estate market makes it more important than ever for you to stand out from your competition. One of the most important aspects of your business is to ensure you have high real estate copywriting across all your channels. Since the real estate industry is competitive and the home-buying process can be intimidating for first-time home buyers. You need to leverage great copywriting for your real estate marketing material. Often, first-stage communication with your customers will occur online. You need to pay particular attention to the needs of your clients as they search for a realtor through online searches. If you are serious about accelerating your success to the next level, then you need great copywriting for your real estate business. Active real estate copywriting will help you drive more conversions and increase sales. 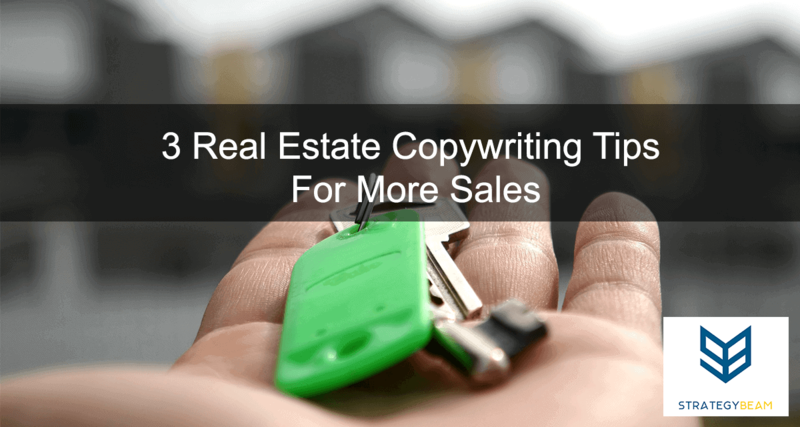 Let’s take a look at some of the best copywriting tips your real estate business can use to ensure you dominate your market and increase sales! The real estate industry is fiercely competitive. Your potential customers have lots of choices, so if you want them to choose your real estate business for their needs. The best way to do this is to prove yourself early on in the decision-making process. When my wife and I were searching for our house, we reached out to several realtors. Several of the realtors did not give us a callback, and two other ones did not present themselves professionally enough to earn our trust. The realtor we chose for our home buying journey presented herself as a leader in the market. Her strong professional affiliations and great personality meant we would trust her throughout the process. You can use high-quality copywriting to showcase your qualifications. By emphasizing your skills, you will be able to address immediate concerns of your audience and convert them to customers. You will lose lots of leads if your real estate sales copy does not convince your target audience that you are the best realtor for their housing needs. Your professional affiliations in the region/local area. Any real estate or other professional certifications. Practical experience in the area is serving past clients like your current readers. Include personal information so you can begin building a personal relationship with your readers. Any associated skills you have that will help them throughout the buying journey. If you were a contractor or home inspector in the past, you should showcase that information because it adds extra value to your opinion from a holistic perspective. Real estate is a regional, geo-specific industry. To attract and convert your target audience, you need to become an expert on your region of interest. You will be able to deliver great information to increase your clientele Once you understand what your customers are looking for. The fact is that real estate is a highly regional industry. You can use copywriting for your real estate business to rank well in local search results. 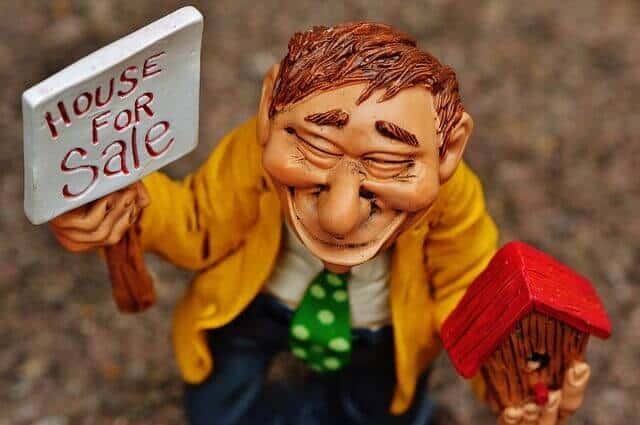 Your real estate copywriting also needs to read well for your audience so you can connect with your readers. Your real estate copywriting should focus your content on local and regional knowledge, so your audience knows you have a strong understanding of more than just the home market. My wife and I bought a house about two years ago, and the entire process was new and intimidating as first-time homeowners. There were lots of numbers, lots of credit checks, and an unbelievable amount of paperwork. The weight of the entire process was almost too much to handle, but luckily our realtor was a professional who know how to manage all the administrative work. We also wanted someone who would support us on a personal level throughout the entire process. It is important that you assure your readers that you are a professional with all the qualifications needed to close a great house and catch your clients a fantastic deal. You also need to make a personal connection so you can maintain customer expectations and deliver to their needs. The more your customers trust you, the better your chances to close deals. Great copywriting on your real estate websites, emails, and promotional material will help you connect with your customers on an emotional level early on so you can build a great relationship quickly. Use “you” or “your” instead of “we” or “us.” The home buying process is personal and your customers have specific preferences. Make sure that your customers know you are working for their best interests. Include personal examples from past happy clients. This social proof will use your success stories as evidence of what your can do and how hard you will work for them. Know your audience and always refer to the value that you will provide them. You will be able to communicate with your audience on a personal level once you understand them. You can begin this process by building out user personas for each of your buyer types. Write about the needs of your customers. If you are a realtor in the South, you might want to focus on how you specialize in homes with pools. If you are a realtor in a big city, then you can leverage your knowledge about finding homes for families with excellent schools nearby. Write using the language of your audience. This can be a bit tricky, but you always want to use similar language and terms that your audience is accustomed to. This means you can customize your landing pages and other marketing material based on your recipients. Crafting real estate copywriting based on the language of your audience will make a deep personal connection and increase conversions. While you are writing great content to grow your real estate business, you should also consider starting a real estate blog. Blogging is a great idea for businesses in every industry, and since real estate is a very personal business you should do everything you can to build a personal brand with blogging. Blogging is getting more and more popular nowadays, and this also the case for realtors looking to get a competitive advantage for their market. Not only does a real estate blog offer realtors the ability to highlight their knowledge and experience, it is also the perfect outlet to build a relationship with prospective buyers and answer questions before they are even asked! Contrary to popular belief, even real estate professionals can build a blog that is powerful and valuable for their business needs. Most realtors think they are too busy to maintain a blog for their real estate business, but in reality, you can create great content for your audience in a small amount of time if you use the right tools and take the right approach. Even if you think you are too busy to blog about your real estate business, just know that you can reap the benefits of a real estate blog by following a few simple tips and tricks. Here are our top five blogging tips for realtors looking to grow their business and close more sales! One of the most common issues that many realtors deal with when creating a real estate blog is that no matter how much knowledge or experience they have, it can be difficult to put that knowledge down on paper. Writing is difficult for everyone, and if you get caught up in the process of writing you will fail to produce great content that drives sales. Instead of trying to write about topics that are hard to articulate, you can focus on the questions and needs of your clients. Think about the 10 recent clients you worked with and write down the questions they had. Now that you have a list of ten questions, go through each one and write 700-1,000 word answers to each. Include specific details for each answer, and even think about including a video that you can host on YouTube. Approaching your real estate blog from the perspective of your client will help you produce valuable content and highlight your knowledge to drive more qualified traffic to your site. Also, don’t think that you have to write your blog posts at your desk. You can also use your smartphone to take down notes– even just the keyword and elaborate it later on. Don’t forget to pay attention to questions your clients and prospects ask you; these can be topics for your next blog post. Whenever someone asks a question, consider it as a topic– something other people would love to know. As a realtor, you know that first impressions count when showing a property. The same is true when you write a blog post, because blogging for real estate means that you have to attract the right readers to benefit your business. This means that you need a great title for each blog post if you want to drive traffic and boost sales. Along with creating amazing content that answers the questions and addresses the needs of your audience, you will need an attractive title to engage your ideal customer. Your title should be eye-catching, interesting, and show the value of your real estate blog post. While the success of real estate blogging relies on the content that you produce, you need to have a strong title if you want people to read your content in the first place. This is why search engines love engaging blog post titles, so make sure you spend time drafting engaging titles that use power words and address the needs of your audience. We already talked about the importance of basing your real estate blog around the questions and needs of your audience, but if you want to really stand out from the competition you should consider answering specific questions about real estate. You can establish yourself as the thought leader in your region and territory by providing in-depth answers to burning questions in the minds of your audience. 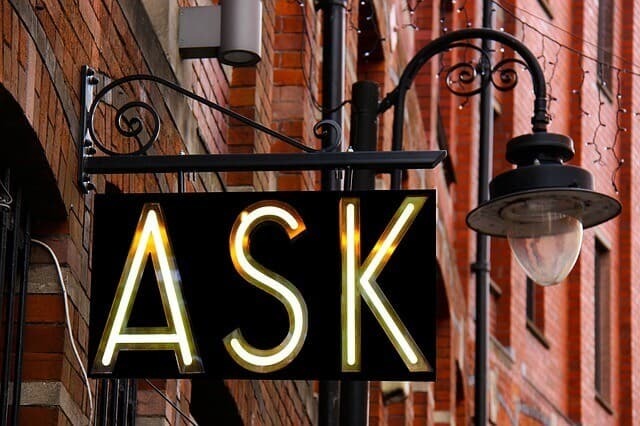 There are numerous places that people can look to answer their real estate questions, and you can drive qualified traffic to your site if you address detailed questions for your customers. You can use these same tips even if you are marketing an apartment community or other rental properties! Your goal is to be able to answer and solve most of the problems potential readers have. The more useful your contents are, the greater the chances that you’ll have a lot of visitors. The questions that your customers have will depend on the time of year. Remember to think about who, what, when, and where your customers are looking for your services. Real estate blogging is all about creating connections with your audience. If you want your readers to return to your blog and trust your content then you need to write in a way that builds trust with them. Many real estate agents blog like they are writing for a college exam, and this is not the best way to position your knowledge for your audience. Use a friendly and engaging tone, and terms like you would if you were talking to someone in person. Remember to break up your paragraph into shorter chunks, usually containing only 2-3 sentences each. You can leverage other copywriting tips to help you produce great content that your readers can consume no matter where or how they are consuming your content. Writing a real estate blog is more informal than other types of writing, and remember that your goal is to encourage your readers to trust you and work with you for their needs. Instead of saving the best for last, it is a good idea to keep your most engaging content at the top of the page. This helps online readers who tend to skim, so once they see the good information easily, they will be able to read more supporting information. A good real estate blog is usually broken down into several ideas with a specific subheading for each. Short, concise paragraphs is the secret here. Be sure to include several relevant images in each of your blog posts. This helps draw the eye of your reade, and break up blocks of text throughout the article. Images and other graphics are also a great way to support the main idea of your real estate blog post, and this type of content can help your readers remember you and your knowledge. Blog posts that include images have also been shown to increase share ability, so if you include relevant and engaging photography in your posts, that content will likely be shared and increase your reach. Words have power, and research has shown that realtors have a far better chance of closing more housing deals if they produce great copy for their real estate marketing materials. High real estate copywriting will connect you with your audience on a personal level, showcase your qualifications, and feature your expert knowledge about the local and regional market. There is no reason to try to be an expert in all things in your business. In fact, real estate copywriting is a difficult element and carries so much weight for your business that hiring a professional copywriter for your real estate business could be a wise investment. A professional copywriter for your real estate business can help you produce high-quality content on a consistent basis to attract and convert more leads and close more sales. Shoot me an email if you are ready to drive qualified leads for your real estate business with professional and high-quality real estate copywriting. I will work with you to connect with your customers and give you the competitive edge you need to dominate the real estate market in your area.